Dainty tonal embroidery at the pockets adds a sweetly feminine element to stretch-twill pants styled with slightly flared cuffs. 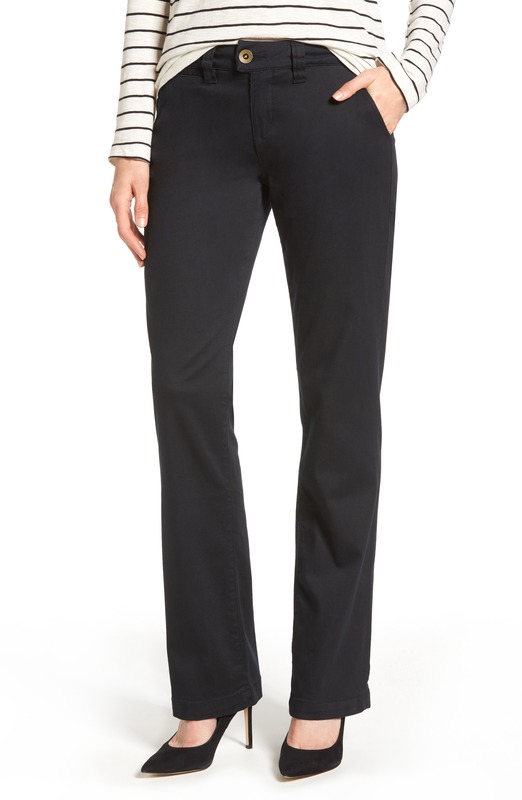 Style Name: Jag Jeans Standard Stretch Twill Trousers (Regular & Petite). Style Number: 5444825. Available in stores.